Home Members L K Toombs CPA & Associates P.C. 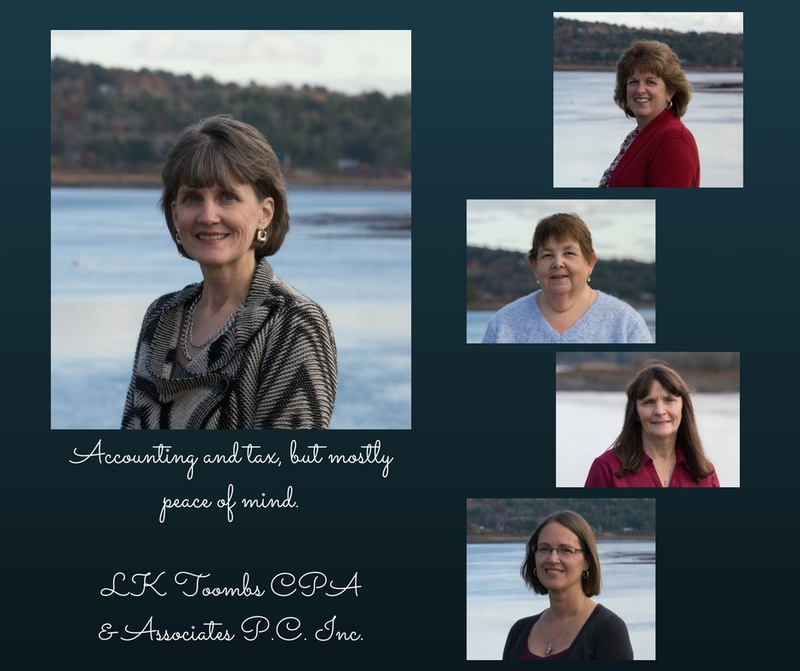 Inc.
L K Toombs CPA & Associates P.C. Inc., a growing Charlotte County business, opened in November 2000, though the practice’s roots date back to the 1970’s. The firm takes satisfaction in providing solid accounting, tax and business advice to a wide variety of clients primarily from Charlotte and York Counties, including small businesses, non-profit organizations and individuals in many different industries, including forestry, construction, fishing, hospitality, retail, and manufacturing. We pride ourselves in providing the highest quality services at reasonable rates in a friendly, accessible manner, and believe understanding our client’s businesses and staying current on tax laws and accounting standards is a must. Committed to its community’s well-being, the firm provides services to many non-profit organizations, supports many amateur sports teams and other non-profit groups, and participates in dress-down days and other events for local charities, and staff frequently volunteer their time and skills. Lori graduated with honors from the University of Prince Edward Island in 1988 with a Bachelor of Business Administration, and obtained her CA designation in 1990. Prior to acquiring the practice, she was employed for more than 12 years with a national accounting firm. A Rotarian since 1999, Lori is a past president of her local Rotary Club and a multiple Paul Harris Fellow recipient. She has served as treasurer of Rotary and its related organizations for several years, as well as contributing to her profession and other non-profit organizations in her community. Lori’s diverse work experience includes managing large engagements with multiple corporate entities, assisting thousands of individuals with their personal income tax matters, and helping small businesses with all their tax and accounting needs. Originally from Hamilton, Ontario, Cathy considers herself a life-time resident of St. Stephen. She graduated from the University of New Brunswick with a Bachelor of Business Administration in 1989, and obtained her CMA designation in 1992. 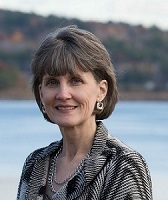 After 38 years working for a local candy manufacturer, the last few as controller, Cathy joined the firm in 2015. Cathy has previously been treasurer for Chocolate Fest and The Chocolate Museum. Currently, she volunteers for the Curl for Cancer bonspiel, the local Relay for Life and is treasurer for the St. Croix Theatre Company. She enjoys spending time at her cottage, reading and travelling with friends. St. Stephen, a town of approximately 5,000 residents, is a bustling hub location in a dynamic, beautiful, coastal/rural setting. Situated on the east bank of the St. Croix River, an international boundary between the United States of America and Canada, St. Stephen is surrounded by the Atlantic region’s natural beauty. St. Stephen is known as Canada’s Chocolate Town, home of Ganong Bros., Limited, Canada’s oldest candy company. Annually Chocolate Fest celebrates the community’s rich and delicious heritage. St. Stephen boasts The Chocolate Museum, an interactive way to learn about candy making, and the Ganong Chocolatier, an old-fashioned candy store for you and your family to experience and enjoy. St. Stephen is home to St. Stephen’s University, proudly Canada’s smallest university. SSU offers Liberal Arts degrees with travel study programs in Europe and Asia. The Charlotte County ACES, St. Stephen’s Jr. A. Hockey Club, draws crowds to action-packed games in the Garcelon Civic Center, a new multipurpose complex in downtown St. Stephen. In addition to the arena, the Garcelon Civic Center includes an indoor walking track, pool, fitness room and a 10-room multipurpose convention center. St. Stephen has one of forty-eight sculptures stretching along the Fundy Coast of New Brunswick and Maine. The granite sculpture, “Time and Space”, is situated downtown, overlooking the St. Croix River. There are so many experiences, values, perspectives and stories that make up ST. STEPHEN, “The Middle of Everywhere”.